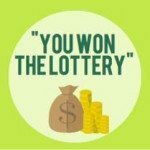 Once you are familiar with lottery scam mails, you will find that they are so stupid. But this one is spectacular. 2) Horrible English, e.g. there are many spelling mistakes. 3) They don’t even know what should be in Caps and what not. 4) They can’t get the figures right…. what is 5-0,000 GBP? 50 Thousand, or was there a missing Zero to make it 500 Thousand? These scam mails are cheap. They are not worth the fake “prize money” in the email. But yet, there are still people falling into such scams – everytime. Accept our sincerely apology, for the slight delay in responding to your mail, it was an outcome of the processing of your winning documents. Recently the Visa Card And yahoo/msn International contacted you regarding your new Prize winnings. This is confirming receipt of your correspondence and assuring you that in line with our principles of efficiency, transparency and satisfaction, you shall be treated with the best possible service within the abilities of this office and in line with our policies. Note that all participants in this promo program have been selected randomly through a computer ballot system drawn from over 50,000 companies and 70,000,000 individual email addresses from all search engines and websites. The email addresses were compiled together by newly developed computer software designed by Yahoo/Microsoft Inc to extract as many emails needed. This promotional program takes place every year, and it’s proudly promoted and sponsored by eminent personalities which includes Sultan of Brunei, Bill Gates of Microsoft Inc and other corporate organizations. Your claims file has been duly forwarded to my office with specific instructions that our department shall be handling the processing of your prize of £5-0,000GBP, and Bmw X6 to you. 1. You are required to fill a ‘VERIFICATION FORM’ with all necessary details to process your winnings. Please see below the manual Form. Kindly send to us the detailed information below for due processing of your winnings as email attachment for due processing. I, ____________, HEREBY DECLARE THAT I HAVE NEVER RECIEVED ANY SETTLEMENT FROM THE VISA CARD AND YAHOO/MSN INTERNATIONAL PROMO PROGRAM OR ANY MEMBER OF MY FAMILY FILLED CLAIM ON MY BEHALF TO FREE LOTTERY INTERNATIONAL ROMOTION. I THEREFORE AUTHORIZE, THE PROMO PROGRAM TO ACT ON MY BEHALF IN THE PROCESSING AND SEND MY PRIZE AS INSTRUCTED BY ME. Congratulation once again and hope to received the verification form as soon as possible and as soon as you fill out your Verification form, we shall immediately process your Winning Certificate. I would advice you keep your information confidential only until you must have collected your winnings. Oh Great! Another fake Yahooooooo! Lottery!